From state-of-the-art multi-sport competition-ready court surfaces to beautiful recreational facilities, our decorative, innovative products and services are the highest quality available and serve a variety of unique industries. Textured, slip-resistant, multi-cushioned technology available in many California Sports Surfaces products is ideal for professional sports, but it also has applications that can enhance the surfaces of educational institutions. We’ve designed playgrounds and recreational areas for schools — including exercise and weight rooms — for colleges, high schools, and middle and elementary schools that provide a safe, colorful space for various activities. 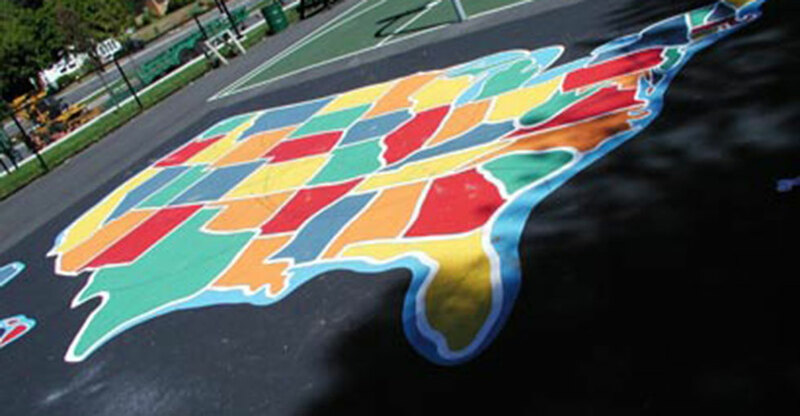 Government-operated facilities, such as military training centers, correctional institutions, and national museums and art galleries, have partnered with California Sports Surfaces to create tailored installations that deliver high quality solutions. 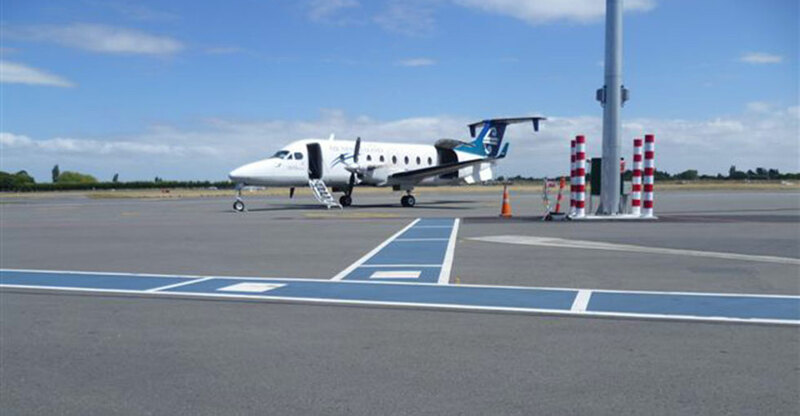 We work well within the confines of public funding budgets and create innovative, cost-effective installations with no compromise to quality or aesthetics. 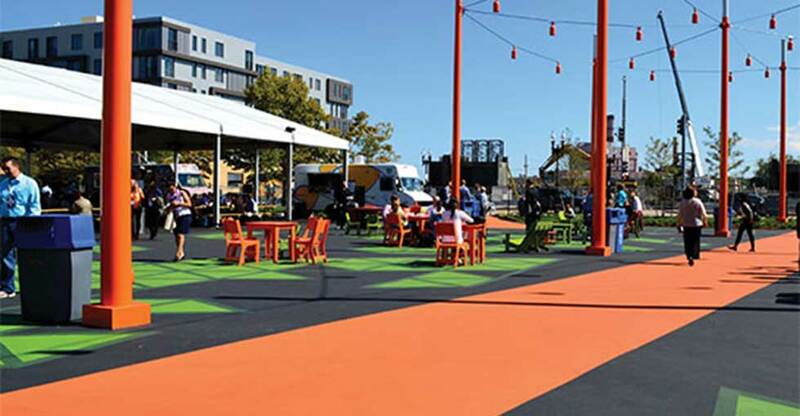 At California Sports Surfaces, we relish any opportunity to make public spaces more accessible and beautiful. 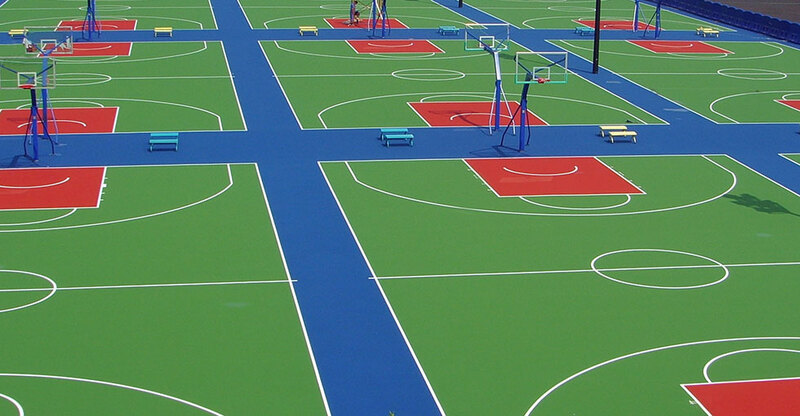 Our technology has been used to create athletic installations within parks, such as tennis, pickleball, and basketball courts, playground surfaces, and miles and miles of low-impact, cushioned walking trails. Our products and services have been used to meet very specific needs, such as unique, creative workspaces designed to attract millennials to privately owned gyms and personal residences. Our engineers and sales associates think outside of the box and can enhance just about any space.